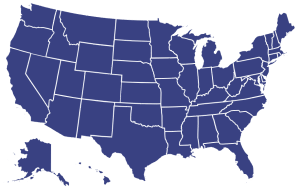 Why Express Modular in Alaska? Modular homes can be built in practically any size or any style. Architects are falling in love with modular construction. The ability to create a strong, structurally sound home in just about any style is very appealing. By utilizing modular construction for your new home, you can get the same opportunity to feel safe and take advantage of the flexible design capability in planning and designing your new custom home. Custom can mean many things to many people. It could be as little as choosing to make a few changes to one of our hundreds of home plans or, it could mean taking advantage of Express Modular’s virtually limitless design capability to create a completely custom home. As the only nationwide custom modular home builder in the country, Express Modular is the company with the experience, knowledge, and expertise to deliver your new home. Modular homes are actually stick built homes. The biggest difference is that they are built offsite and indoors under the protective roof of a factory. Traditional site built homes are built outdoors in Alaska. Think about the last time your drove by a new home being constructed onsite. Did you see water puddles on the floor? Or, maybe there was there snow blowing through the openings where the windows and doors hadn’t been installed yet? We build our homes using the best products and latest in modern building technology. We just happen to take advantage of the fact that we can build a much better home indoors. Factory construction means there is no need to rush getting the exterior sheathing of your home installed. We actually build your home from the inside out, not the other way around. What this means to you is that we can have access to the inside of the exterior walls of your home. We can seal every outlet and any gaps against air infiltration. Prefab homes are just built “tighter”. They are also built stronger to withstand the stresses of being transported to your site on carriers, transported on land and barges, and then lifted by a crane to be placed on your foundation. The additional strength can give you peace of mind knowing your family is safer in a storm because you chose a modular home. 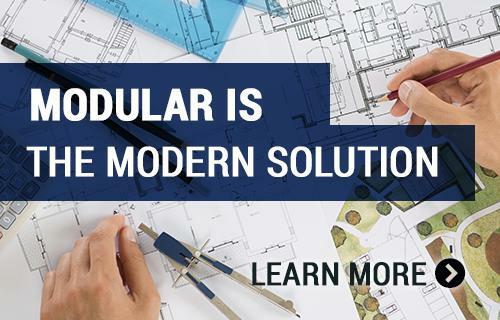 As a leader in modular construction across the entire U.S., Express Modular is here to answer any questions you may have about our modular homes or the construction process. If it is your first time building a custom home, the process can be confusing. You can trust Express Modular to steer you confidently through the process. If you have constructed a custom home before, then leverage our capabilities to jump right in and start designing your new home today. Flexible design, quality construction, and a faster construction process means you will be moving into your beautiful home quickly. Interested in building in Alaska? We have an extensive selection of modular home plans and a consultant for your area! Let's get started!